The main level of the church was supported by a single beam running the long way down the middle of the sanctuary with three cast-iron columns further supporting the beam and resting on a rubble-stone footing. There was just one stone column supporting a section of the wall under which the side entrance was located. 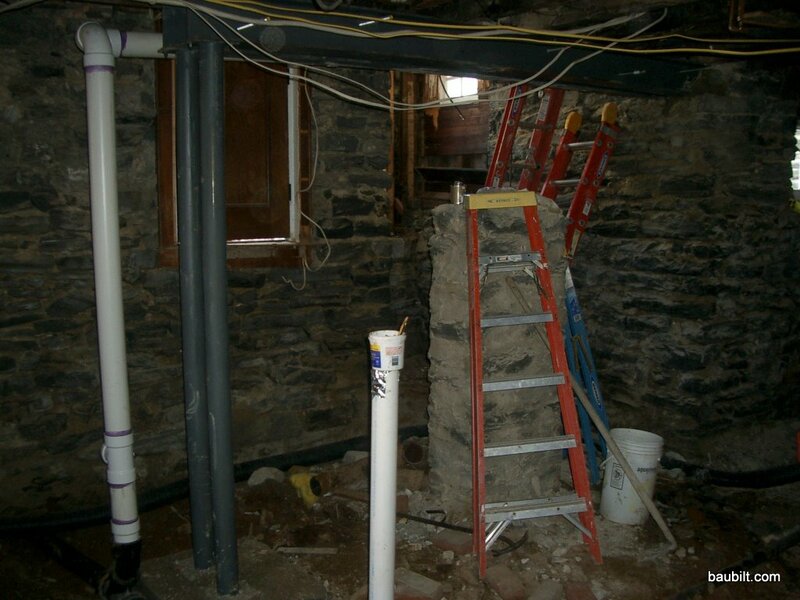 We wanted to remove that column, and so installed a steel beam to support the wall, as shown in the photo. We also wanted to remove a column which was inconveniently located right in the center of the future family room. 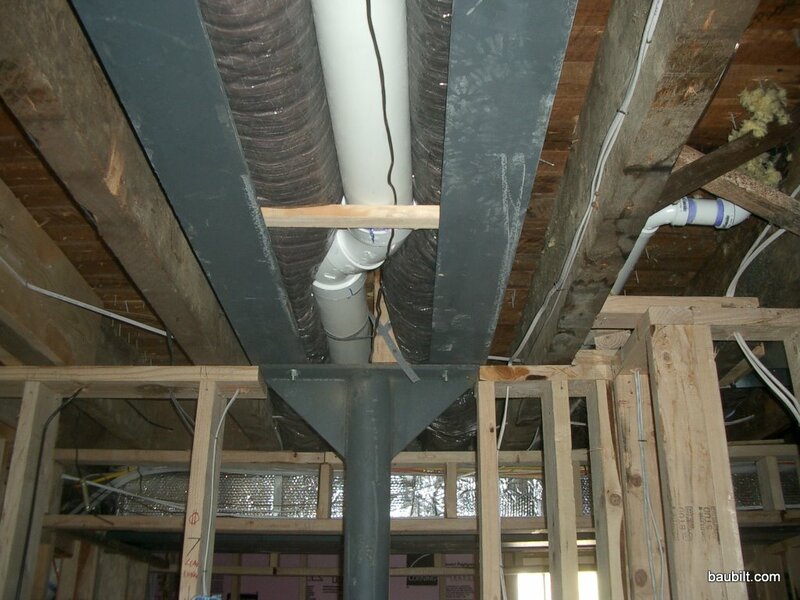 To do that we spanned the 16′ family room with more steel beams. 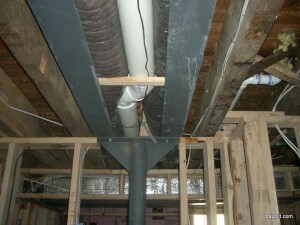 One trick we played here to avoid any soffits across the room was to use a double I-beam (shown in the photo). That way, we could run the a/c duct and vent for the boys’ bathroom between the two I-beams, allowing the family room ceiling to be nice and flat.